Almost three months after its dramatic HQ2 announcement, Amazon is trying hard to woo wary New Yorkers, said Elizabeth Kim and Jim O’Grady in New York’s Gothamist.com. 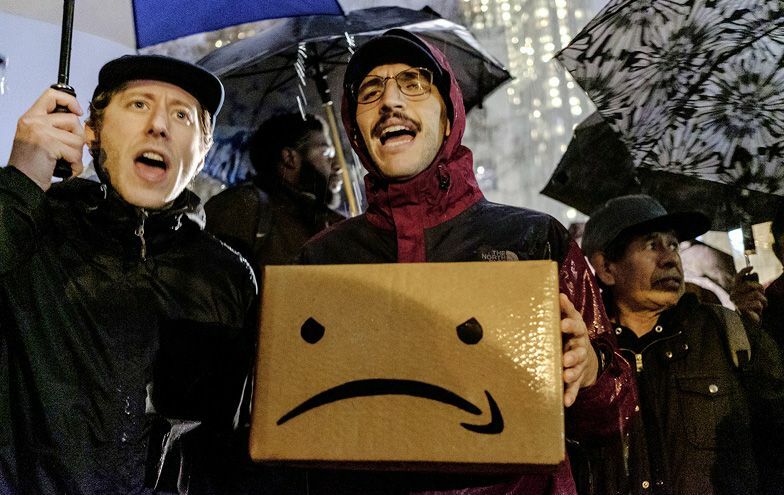 Amazon and New York City officials have gone on “full-court press” to quell the public backlash to the plan. Presented with fanfare as the culmination of a contest between 238 candidates, the company’s new hub in New York City—one of two winners, together with Arlington, Va., a Washington suburb—has turned into a headache for the city and the retail juggernaut. Instead of gratitude for 25,000 planned jobs, Amazon has been met with “sustained public outcry over the size of deal’s tax incentives,” which add up to $2 billion. Amazon’s foes note “the irony of subsidizing one of the world’s richest companies,” and the new headquarters has become a flash point in the debate over the growing power of the biggest tech companies. In Virginia, Amazon’s road has been a lot easier than in New York, said Robert McCartney in The Washington Post. The Virginia House this week took up the package of tax benefits offered to the retailer, and after just nine minutes of debate “voted overwhelmingly to give Amazon up to $750 million in incentives.” Only two delegates spoke up against the package, complaining that it would raise housing costs.